Today’s big headline may have been that Google Play Music’s family plan would arrive this week, but behind the scenes, another big new feature has arrived in the form of Family groups on Google Play. 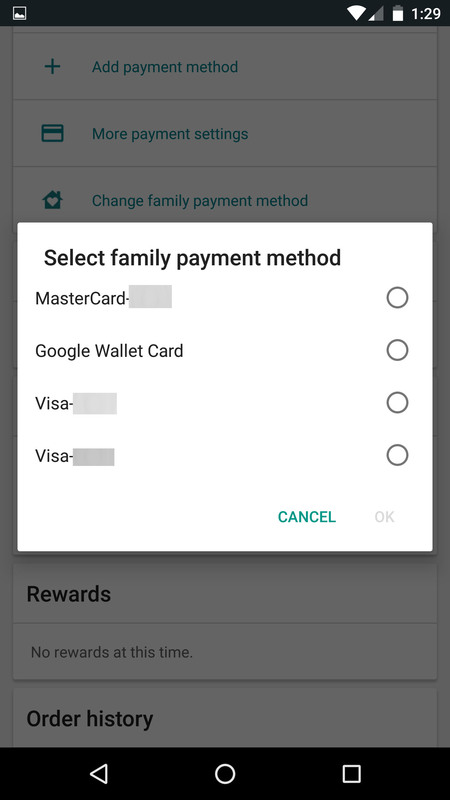 With a “family” on Google Play, you will have the opportunity to setup a payment method for your family to use to purchase goods, like apps, games, and other offerings on Google Play. I first noticed the new feature when signing up for Google Play Music’s family plan. 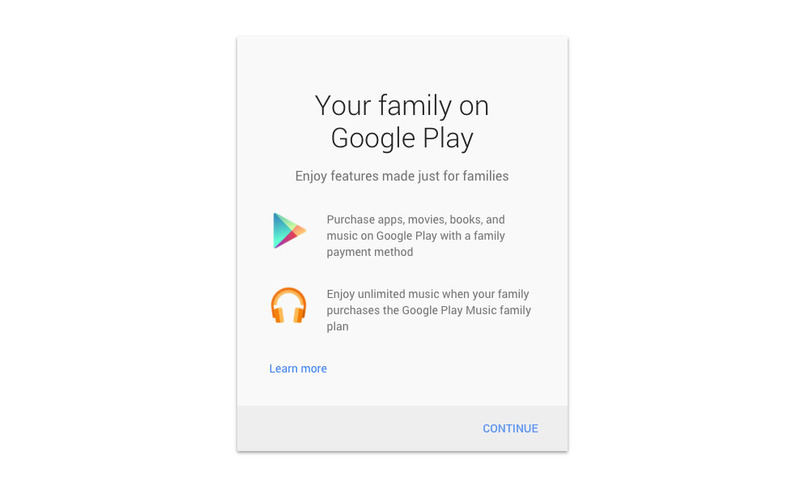 The screenshot at the top of this post showed up, which clearly states that a family on Google Play can “Purchase apps, movies, books, and music on Google Play with a family payment method.” And sure enough, if I open Google Play and go into the My Account section, I can see a new section called “My Family,” along with a “Change family payment method” option. That’s awesome news! 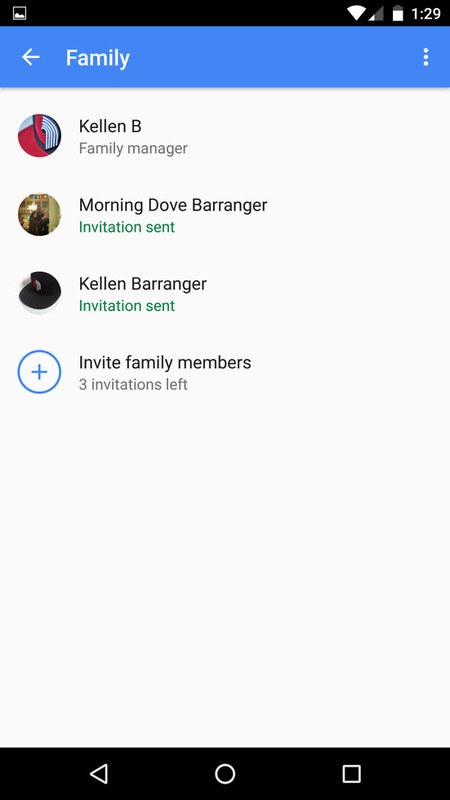 You can see there that you can have a total of six people in a family group, all of which can be maintained within the My Account section of Google Play. From there, you will also see an option to selection that family payment method that everyone can use, which includes a Google Wallet Card. As of now, I was only able to initiate a family when I setup my Play Music family plan, but that could be changing shortly. Also, as we noted earlier, this all appears to only be available to personal Google accounts. I tried to add my Google for Work account to my family and it failed. 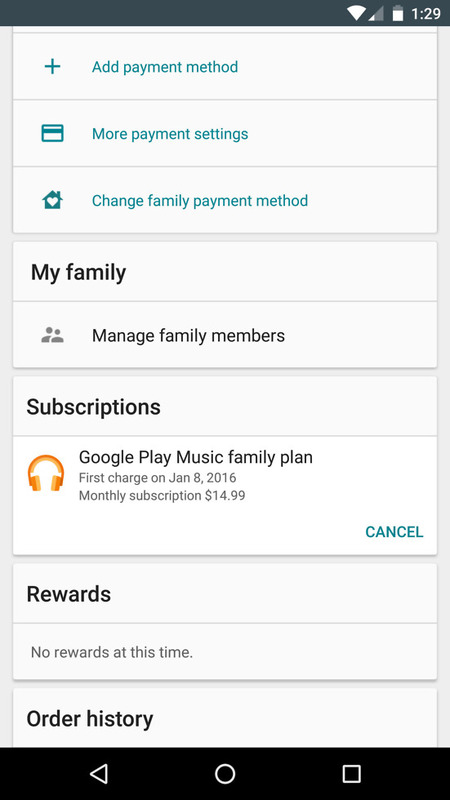 We’ve got more coming, including a quick tutorial on how to sign-up for the Google Play Music family plan. UPDATE: Here are some additional details about how family groups will work, according to Google Play support FAQ. What information your family members see. When you join a family, your family members may see your name, photo, email address, and age group. Because your family manager is responsible for the family payment method, they’ll also see all purchases you make using the family payment method. Note: You can only switch family groups once a year.